My maternal grandparents left an indelible mark on my psyche regarding the voting process. For as long as I can remember, my grandfather was a poll worker. I never asked him why, but knowing his character, it was probably one way he could make sure that the process was fair. Also, local candidates were always stopping by our house to chat with my grandfather. What the adults didn't realize was the kid was paying close attention and absorbing every single word. It didn't take me long to grasp that those types of discussions influenced the power structure of my small town. I also learned quite a bit which shaped my own involvement in the political process. When I was in the second grade, I made my first trip to the polls with my grandmother. I stood in the voting booth and had many questions. Because I didn’t know that voting was a private matter, I proceeded to ask loudly, "who are you voting for; why are you voting; what’s a Democrat……" until she finally shhhhhh me and said she would explain it to me later. Although the height of the civil rights movement had ended a few years earlier, my grandmother never ever mentioned anything about the issues of race vs. voting. She never told me that people lost their lives in order to be granted the right to vote. Although I grew up in rural North Carolina, the reason that she didn't mention it could be because my community was isolated from the cruelties of most the South had endured. 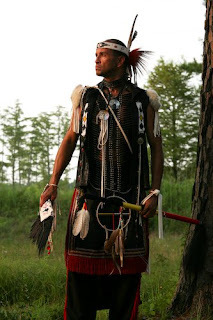 My community was predominately Native American – over 90%. Therefore, we were minorities among a larger group of minorities. The Native Americans had officially ran the KKK away from my county, so the Jim Crow effects were not as prevalent. After she explained the differences in the candidates, the importance of exercising the right to vote and that each vote counts, I knew I wanted to vote. I wanted my voice heard too. Then, another caller who identified himself as "Black Achievement" answered by asking “what’s the point of stopping at a red light?” Scott responded, “one is so that you don’t get run over by oncoming traffic.” His response was a great metaphor for why you should vote, so that you don’t get run over. PLEASE REGISTER & EXERCISE YOUR RIGHT TO VOTE!